A CEASELESS round of active duties had been engaging the 102nd Bn. for six months; the unit was now to enjoy six weeks of comparative rest, prior to carrying out a series of operations on the outskirts and in the suburbs of Lens. This rest opened on June 13th in Vancouver Camp, where we remained for six days, moving up to Comox Camp on the 19th, and finally back to the Chateau in Gouy Servins on July 1st. For the most part the weather was good, and the whole countryside was looking its best at that time of the year; the woods and grounds surrounding Chateau de la Haie were a veritable Paradise after the conditions under which we had been living for so long, and the long rest in June and July, followed by a second and shorter one during the middle of September, stand out in welcome relief to the general sordid nature of our surroundings. Of Gouy Servins but little has yet been said, but it had gradually been assuming a position of importance, both as being the nearest village to the camps at the Chateau de la Haie and as being a supply assembly point on the narrow-guage railway which served the Lens front. In the middle of the village is the usual village pond, artificially constructed and filled with the semi-stagnant water which seems to characterize all the village ponds in France. An enormous Chateau is the principal feature of the place, a building large enough to accommodate two battalions with sleeping quarters and boasting grounds which gave every accommodation for parades, messes, theatres, and all the outside buildings which spring up in the vicinity of every camp. During the summer Gouy Servins proved an ideal resting-place. The inhabitants by this time had come to know the members of the 11th Brigade well and regarded us with affection. There were village belles, of whom perhaps the fair Josephine will linger longest in the memory; there were village estaminets and various private establishments where wines and beer could be purchased by those who came armed with a fitting introduction (What sweet memories in these days of Canadian drought cling around the portals of No. 7!) and there were village shops where the odd biscuit or tin of fruit could be bought. There was no great craving when out of the line for the bright lights of theatre or "movie" palace; it was good enough to wander quietly through the country lanes, or quaff the country wines and just appreciate the joys of peace and quietness when leisure permitted. There was, however, a good deal of work done during those days. The mornings were devoted to training, especially to the perfecting of the "Tactical Platoon," well known to those who served, and a description of which will not interest those who did not. To start with, training commenced at 5.30 a.m. and went on till noon, the rest of the day being at the men's own disposal; later the hours were altered to 9.00 a.m. to 1.00 p.m. There were Athletic Sports of all kinds arranged for the afternoons, with big Field Days when Brigade vied with Brigade to win the Divisional honours. There were sundry entertainments in one or other of the two buildings provided for such purposes, as when on July 6th we saw for the first time the moving pictures taken of the Battalion in Comox, or when on July 20th the Sergeants entertained the Brigadier and Battalion Officers at a smoking-concert in the fine mess building they had erected. On July 11th H.M. King George passed through from Villers to Camblain L'Abbé and the Brigade units lined the road informally and gave him a welcome which, it is to be hoped, had the unrehearsed effect which had been so assiduously practised. In addition to the regular work, and to add zest to the amusements offered, there were occasional inspections of a peculiarly searching kind, going into details of feet and the interior of packs. It was after one such inspection that the shadow of tragedy hung over the Battalion, when one of our draft men, an alien by birth, "ran amok" and shot the first officer he could see, who happened to be Capt. Carew Martin, of the 11th Brigade Staff, a most popular officer and the very last whom anyone in his senses would have thought of shooting; fortunately the wound, though serious, was not fatal; the miscreant having been lucky enough to escape lynching, was further lucky enough to get off with a life sentence. On July 26th we moved out in the evening to a camp which had been constructed at the Souchez end of Zouave Valley, known as Cobourg Street. Here we found that the 46th had been billeted in the area which should have been reserved for us, and we had to make the best shift we could to the left; this contretemps saved us five casualties on the following day. Plenty of water abounded at this end of the valley and an improvised swimming tank gave great relief, as the weather became abnormally hot. Aug. 1st saw us moving up the line into our new battle area, taking over the front-line from the 87th with Headquarters established in a ruined chateau in Levin. The latter was one of the suburbs of Lens and was exposed to constant bombardments; the road running from Souchez through Living up to the Red Mill where the Transport waggons nightly reported was perilous in the extreme, but our Transport had amazing luck and never lost a man. Living was a mass of ruins, but the cellar accommodation was good and there was plenty of water available. From the point of view of billets we were probably better off on this front than in any other sector throughout the war. The front line itself consisted of a series of posts established in houses. From the date of our entry into the Lens Sector we began to get accustomed to the continuous use by the Hun of gas shells; they had been encountered by us before, notably in the Second Triangle tour, but from this time on they became a regular nuisance against which every man, whether in the front line or back with Headquarters, had to be on his guard. Our several tours on this front were chiefly marked by a series of raids carried out either by our own companies alone or in conjunction with units on the flanks. The first of these took place on Aug. 5th, when "D" Coy., under the direct supervision of Col. Warden, carried out a daylight raid on a crater at the junction of Bell Street and the Lens-Lens Road. This operation was completely successful, and the dug-outs found in the crater and the tunnels connecting it with the enemy lines were thoroughly bombed out. A similarly successful enterprise was undertaken on the 9th by "B" Coy., when one party under Sgt. 0. Massey stormed an enemy strong-point, drove out its occupants and established a block further up the trench, whilst a second party under Cpl. C. V. Brewer raided the crater a second time and undid all the repair work the Hun had effected. On this occasion the defenders fled overland and came under the fire of a Lewis Gun Section which had been strategically planted for that very purpose. On the 10th we moved back into Support, and Headquarters retired from the Chateau a couple of hundred yards down the Street to the building which in pre-war days had been the Gendarmerie, a large block of buildings surrounding a big courtyard. Here we remained only four clear days, as on the 15th we were hurriedly ordered into the line to relieve the 87th, which had been badly cut up in an offensive which failed and been driven back 200 yards behind their original front line; this relief we carried out in broad daylight because of the urgency of the call. On Aug. 17th an operation on a more extended scale was carried out, with the 4th Brigade co-operating on the left. The object of this offensive was to reorganize the line, which had been handed over in a badly dented condition, gaps existing between the companies and between our left flank and the adjoining battalion, the 18th. These gaps had been occupied by the enemy, and it was decided by a combined offensive to straighten out the line and establish a safe connection between all the units holding. The barrage opened at 4.32 am. "C" Coy., under Maj. R. J. Burde, M.C., was to co-operate with the 18th Bn. on the left and clean up the system of enemy trenches known as Cotton and Amulet and at the same time to co-operate with "B" Coy. under Maj, F. J. Gary, M.C., on the right. The latter Company in addition was to attack and hold the Schoolhouse which the enemy was using as a strong-point. The first part of the operation failed through the failure of the 4th Brigade to co-operate as planned; owing to some misunderstanding they never reached Amulet Trench at all, and finally Major Burde had to recall his men to their original positions. "B" Coy., after overcoming strenuous opposition, managed to secure a footing in the Schoolhouse, but failing to find the left flank secured owing to the non-fulfilment of the first part of the operation, also had to fall back to original positions. 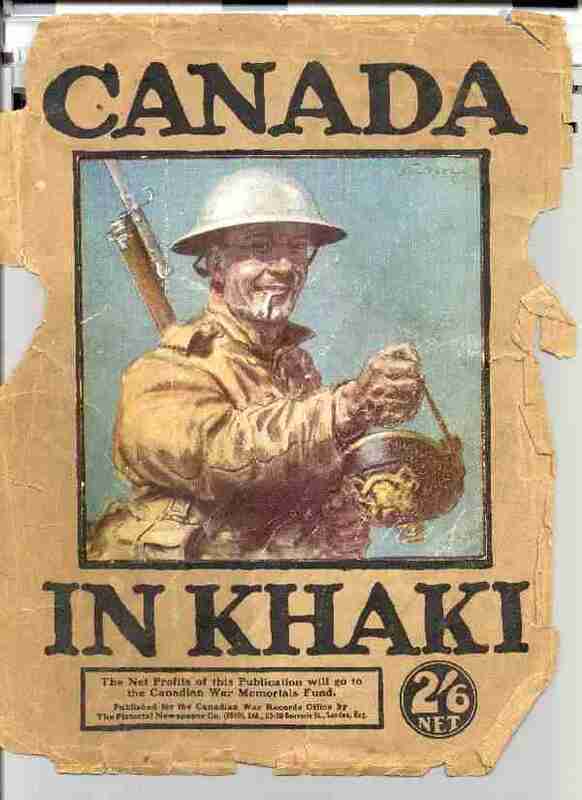 The same night we were relieved by the 46th Battalion and returned to Niagara Camp. The total casualties incurred during this first tour in Lens were as follows: Killed: Lieut. E. L. Gleason and 10 Other Ranks. Died of wounds: Three Other Ranks. Missing: Two Other Ranks. Wounded: Lieuts. V. Z. Manning, J. A. Cresswell, C. H. Packman, G. G. Allum, W. W. Dunlop (at duty), and 86 Other Ranks. It was not until the early hours of the morning that the troops began to arrive at Niagara Camp; there is a wonderful satisfaction in wandering into camp at such an hour and finding the Base Details waiting up with hot food and hand-shakes and then turning in, knowing that for at least six days there will be comparative comfort and rest. The following day was a Sunday, and the conflicting claims of godliness and cleanliness caused a terrible fiasco, owing to the well-meant endeavours of the officiating chaplain to harmonize the two, "If your men have to go to the baths," said he, "well and good: I know that the baths are the first consideration; but let them come into the Church Service on their way back." The chaplain was right, from the point of view of common sense and Christianity, but, sad to relate, it fell out that a party of Brass Hats thought well to attend Divine Service that morning, and anyone who has had experience of Brass Hats and their way of looking at things will readily understand the consternation caused in their breasts when sundry members of the 102nd turned up with no puttees on their legs, but with towels hanging around their necks. It is entirely contrary to K. R. & 0. for an enlisted 'man to worship his Creator unless he is properly dressed, and the Brass Hats did not fail to register their opinions in the quarters where such registration might be expected to do the most good. But what a blessing it is that some of us have been endowed with a sense of humour and with backs akin to those of ducks! It was on the occasion of this interval between tours that elimination contests were held to select marksmen for the Corps Rifle Shoot, which raises a curious question. Why on earth should the best marksmen in an army be kept out of the line to shoot for prizes instead of being sent up the line to kill Huns? The Army goes to all kinds of expense in order to train men to kill the enemy, and then it keeps the best it has to shoot for sport instead of for business. And yet we won the war! August 20th figures as an important date in the history of the 102nd Bn., as on that day the news was received that we had ceased to be a British Columbia unit, and had been posted to the 2nd Central Ontario Regiment. The news came as somewhat of a shock at first, though general relief was felt that the rumours which had been prevalent of an impending break-up of the Battalion had been proved false. The reasons which led to the 54th and 102nd Bns. 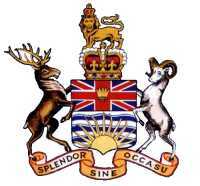 being thus transferred to Eastern postings are well-known; British Columbia was too weak numerically as a Province to continue to supply reinforcements to all the units she had in the field. Two alternatives were open: to merge some of her Battalions and reorganize the Brigades affected, or to re-post some units. Henceforth all our reinforcements were drawn from the East, but a great hardship was inflicted on those original British Columbia men who, when evacuated sick or wounded to England, were there posted to the British Columbia depot and sent back to France to fight in strange battalions where they had to re-establish their footing. It is hard on a man who has served for over a year in a Battalion and made friends and perhaps put himself in the way of promotion, to find that an unlucky wound has caused him to be transferred to a Battalion where he knows nobody and where he has to start in from the beginning to prove his worth. But the war was full of injustices of this nature. If Canada had in the beginning allowed only that number of Battalions to be raised which could be reinforced, there would have been none of the breaking-up of units which resulted in such anomalies as the Battalion Quartermaster-Sergeant of a unit in England being sent out to serve as a Private with a strange unit in France, or the man whose work in the line had entitled him to promotion having to stand aside to see men of confirmed rank being absorbed from other Battalions and barring his way. If, however, the 102nd was unlucky in losing so many of its original British Columbia men, it was lucky in having them replaced by the fine class of reinforcement which systematically to it from the 2nd Central Ontario Depot, whose Commanding Officer for many months, Major Fleming, made every effort to inspire the drafts he sent with a proper "esprit de corps" with respect to the unit they were reinforcing. On Aug. 22nd we moved out to Zouave Valley, occupying there the same camp as on the previous occasion, and two days later moved up to Living, relieving the 54th in Support. The 10th Brigade was holding the line and sustained very heavy casualties, with the result that it was relieved by the 11th on the 25th, and the 54th Bn. was brought up into Support, the 102nd moving Headquarters across to a location further to the left, which had previously been used as a Company Headquarters. During this tour Major R. J. Burde, M.C, left for England on a three months' exchange, and Lieut. H. E. A. Pentreath, who had come over as a Private, but had obtained a commission in England, reported for duty. Sept. 1st found us in the front line in relief of the 87th, and Headquarters were established as before in the Chateau. On the 3rd, "D" Company, under Capt. S. H. Okell, under cover of a raid by the 8th Bn. on our left, managed to steal a little territory from the Hun, successfully advancing the front line posts, but the principal honours of this tour went to "A" Coy., under Lieut. I. C. R. Atkin, which carried out a highly successful operation in the early morning of September 6th, in conjunction with the 54th on the right. Under cover of an unusually feeble barrage patrols stole forward and bombed their way to the positions selected for the new advanced posts. It was on this occasion that Lance Cpl. F. Quinn won his D.C.M. He was in charge of one of these patrols, which successfully gained its objective, but was unable to drive the enemy clear out of the house on the other side; dawn broke, and for twelve hours he maintained his position in his side of the house against vastly superior numbers, sending out a messenger under cover of night to secure the needed relief. At 7.20 p.m. the enemy was observed to be massing for a counter-attack to regain the valuable positions lost; Lieut. Atkin promptly withdrew his outposts to better defensive positions, and called for artillery support which was furnished by the 5th Canadian Divisional Artillery, which made its debut on this occasion in the line, with the result that the oncoming Hun was caught in a deluge of fire and left the new positions in our hands for good. The following night we were relieved by the 7th Battalion, and once more returned to Niagara Camp. Arras-Souchez road. New and good Divisional baths were constructed in the same area. New camps were in process of construction, of which Alberta Camp, close to King's Cross, was already in occupation. At King's Cross itself a regular settlement was springing up, where Pioneers from all four Battalions, under charge of Cpl. C. B. Kirby, were building -huts. A Chinese Labour Battalion was working on road improvement, sewer-work, etc., and the Transports of each Battalion , were busy bringing out stacks of salvage from Lievin for use in making comfortable winter quarters. In short, it was evident that strenuous efforts were being made to ensure the comfort of the troops during the coming winter. The irony of it all was that when the winter came we were, for the most part, in another area, and what we had sown another reaped, even to the vegetables in the agricultural allotments which had been laid out in accordance with a settled policy of "Grow your own vegetables." In the afternoon of September 19th we moved forward again to Support lines south of Avion by way of Clucas Trench, a long communication trench running down the northern slopes of Vimy Ridge, and relieved the 38th Bn. Headquarters were established in Anxious Trench. This tour was marked by the introduction of Battalion Tump-liners as a recognized Headquarters Detail, and they made their debut under the command of Sgt. J. King. Their inestimable value was proved later in Passchendaele, and it is hard in the light of later events to see why they had not figured as a Battalion unit in the days of the Somme. In this connection a story may well be told which has the hall-mark of truth upon it. A demonstration of the use of the tump-line was being held at Corps Headquarters and Capt. Archibald, who was responsible for the scheme being brought before the Higher Command, had sent for a squad of 102nd men to act as demonstrators; amongst these was Pte. Frank Campbell,. one of our "Originals" from the logging camps, and he came back terribly aggrieved at the ignorance which he claimed existed in the British Royal Family. It appeared that H.R.H. the Prince of Wales was present at the demonstration, and Frank was asked if he could move a piano. "Sure!" said Frank; "I`ll move any blamed thing if I can get it on my back." So a piano was produced and Frank slung two tump-lines round it, gave a bit of-a hoist and marched away, showing that-such a feat was possible. "And how far could you carry that?" queried the Prince. "About a block,"- replied Frank: "And what's a block?" came back the answer. "Such ignorance!" 'Frank used to say when retailing the story, "and him a Prince with all the advantages of a Prince's education!" Alas, poor Frank will never move any more pianos; he; "went West" the following December. As for the Prince, by the time he has completed the Canadian tour which is in progress whilst these lines are being written, he will probably have a very distinct idea of what a "block" is. On the 23rd we moved into the front line, relieving the 54th, and Headquarters were moved away over to the right to a set of dug-outs on the Lens-Arras Road. The enemy evidently realized that this relief was in progress, as he put over a considerable barrage and attempted a raid on "B" Coy. 's position; his attacking party, however, did not manage to advance nearer than our Listening Posts. This uneventful tour, came to an end on the evening of the 27th, and on relief being effected by the 44th and 47th Bns, we returned to billets in the Chateau, Gouy Servins. As soon as the men had been thoroughly rested intensive training was carried out on a scheme which had been prepared for the immediate capture of Ltns. On the extensive grounds of the Chateau de La Hale a taped-out course was laid down. Over which the Battalion practised the attack assiduously. At Souchez also a course had been prepared and there the Model Platoon, an aggregation composed of men who did not go up the line but were constantly drilled as a model, through which all reinforcements passed, gave carefully rehearsed exhibitions of the pending operation. Everyone was on the tip-toe of expectation, and then, like a bolt from a blue sky, came word that the offensive was "off" and that we were destined for a tour in Passchendaele. Whether our Intelligence Department had received word that the Hun had obtained information as to the plan for the capture of Lens, or whether the whole thing had been a gigantic "bluff" to deceive his watching aeroplanes the chronicler is in no position to state, but it is at least significant that all this training should have been carried out in broad daylight in full view of the enemy aeroplanes which were constantly hovering overhead. Whatever the answer to that problem, Oct. 4th saw us on our way to and the blood-stained ridge of Passchendaele.